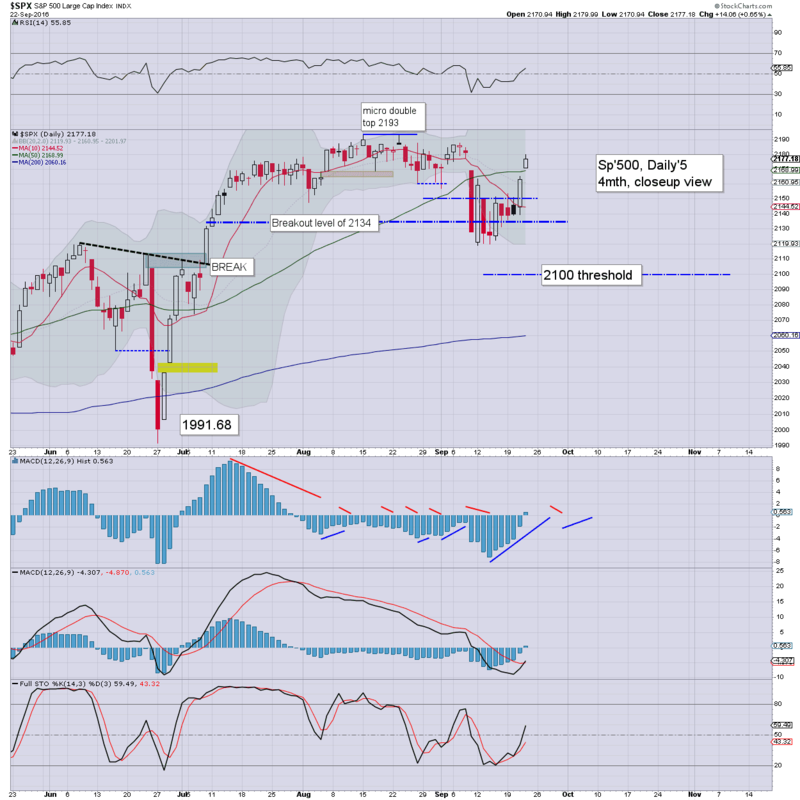 US equity indexes closed broadly higher, sp +14pts, @ 2177 (intra high 2179). The two leaders - Trans/R2K, settled higher by 0.4% and 1.5% respectively. VIX settled -9.6% @ 12.02. 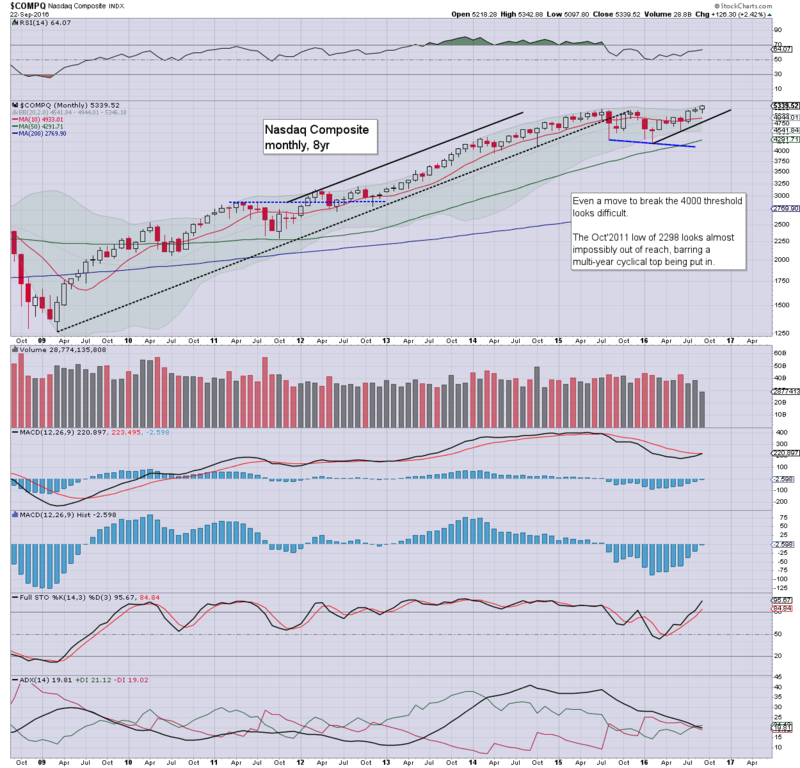 Near term outlook offers weak chop into the weekend, with the 2200s viable next week. A second day of broad equity gains, as with the fed out of the way until early November, the equity bulls have a clear run for at least 2-3 weeks. Volatility is naturally continuing to implode, already breaking into the 11s. The 10s look due with the sp'2190s next week. 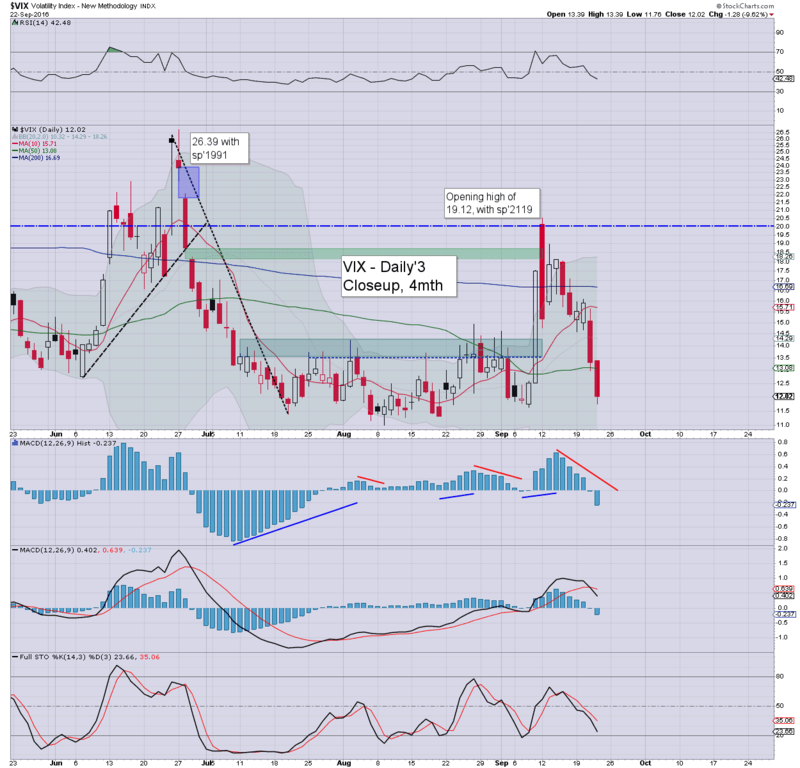 The only issue is whether we'll see single digit VIX (last seen in Feb'2007), with the sp'2200s. A new historic high of 5342. 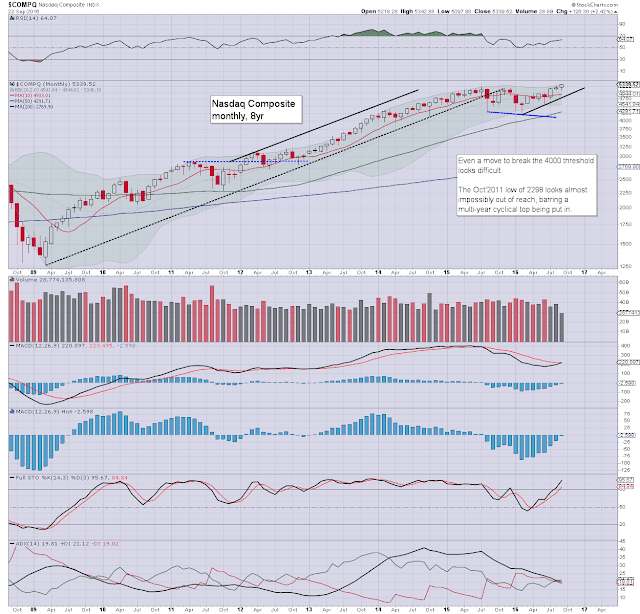 A monthly close in the 5300s increasingly looks probable. Maybe even the 5400s? Underlying MACD (blue bar histogram) is set for a bullish cross within 1-2 weeks. In theory, price momentum could continue ticking higher all the way into next spring. Mainstream talk of the 6000s by late spring/early summer 2017 should start to appear.